What are you doing this World Environment Day? World Environment Day (WED) is a day sponsored by the United Nations to promote worldwide awareness and action to protect the environment. Since 1974, WED has become a global platform for individuals to spread the word about how we can improve the environment. In honor of World Environment Day, and because wildlife crime endangers many animals -- here is a list of the top five animals most at risk from poaching and what the world can do to help. Between 2010 and 2012, nearly 100,000 African elephants were killed, due to poaching, causing a huge decrease in the population. 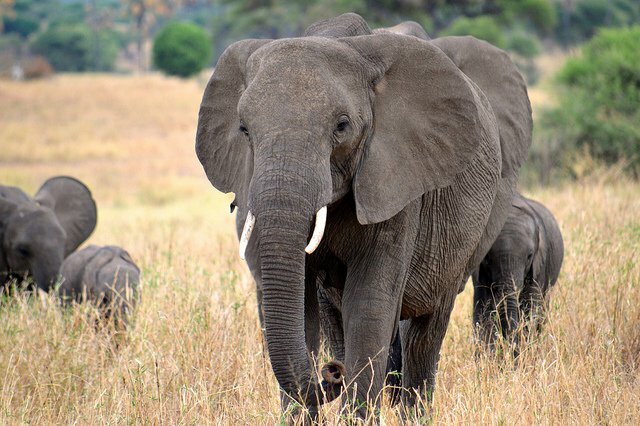 Elephants are poached for a variety of reasons, most often for their ivory tusks. Between 2009 and 2014, 170 tonnes of ivory were illegally exported out of Africa. Africa is taking a stand against illegal poaching. Just over a month ago, Kenya burned the largest stockpile of ivory sending a message to poachers that elephant are worth more alive. And in September 2015, the US and China announced that they would be closing international and domestic trade of elephant ivory. Though this could push illicit trade and crime further, still it’s very much a step in the right direction. 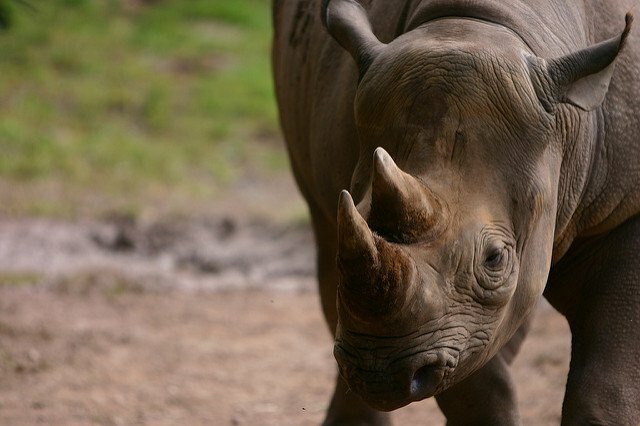 In 2015, poachers killed more than 1,300 rhinos in Africa. Between 2007 and 2015 there has been a 90 percent increase in the rhino slaughter. 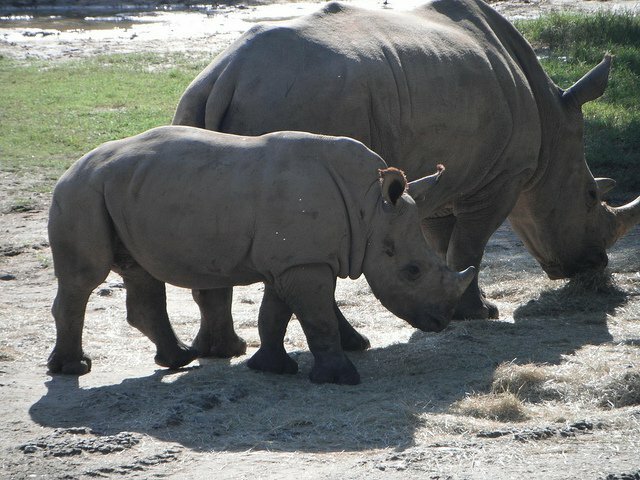 Rhino poaching has significantly decreased the animal’s population in South Africa, and there is evidence suggesting surrounding countries in Asia are responsible for the increase in illegal poaching for rhino horns. Fortunately, Nepal is working to achieve zero rhino poaching, enforcing stricter poaching penalties. It’s working too! In the last three years, Nepal increased rhino population by 21 percent. Sadly, Bengal tigers have joined the endangered list. 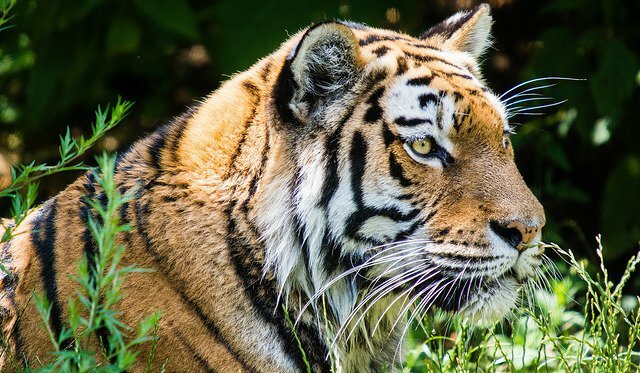 Tigers are poached and their parts are used as ingredients in traditional Chinese medicines. Environmental Investigation Agency believes that at least one tiger is killed daily for its use in traditional Chinese medicine. Recently, in a Thailand Tiger Temple, 40 tiger cubs were found dead in a freezer. Authorities removed the remaining adult tigers from the Temple and are currently investigating suspicions regarding illegal trade involvement. It is estimated that there are only 3,000 endangered tigers remaining in the wild. Luckily, the World Wildlife Fund (WWF) and Leonardo DiCaprio have partnered to create a campaign called Save Tigers Now. This campaign aims to build political, financial and public support to double the amount of wild tigers by 2022. Mountain gorillas are one of the most endangered animals in the world. Scientists estimate that there are only about 600 left due to poaching, habitat loss and conflict (caused by humans). 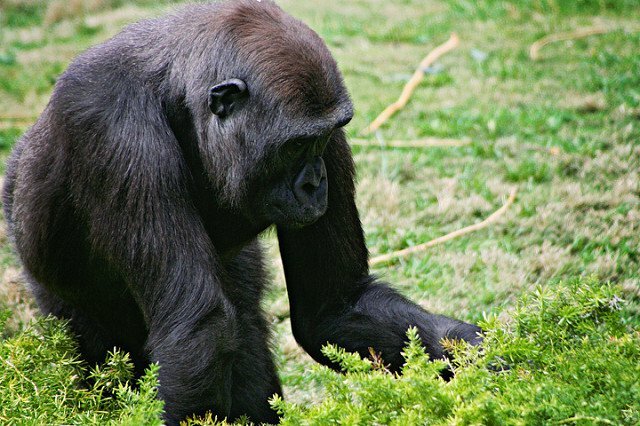 Gorillas are often poached for bushmeat, other times they are caught and killed in traps intended for other animals. Pieces of meat sell for $5 or $6 USD. This might not seem like much, but it’s worth a lot to African poachers. Gorillas are also sought after as pets or trophies and sold for their body parts, which are used in some medicine. One thing helping the species -- Gorillas are worth much more alive than dead. Money earned through gorilla tourism contributes to the conservation of the species by providing funds for conservation projects, creating jobs and bringing other benefits to local communities living near gorillas. Gorillas bring about $1 million in tourism revenues to Uganda every year. Rwanda made nearly $304 million in eco-tourism in the last year. Nearly all species of sea turtles are endangered. Tens of thousands of turtles are lost each year due to overharvesting and illegal trade. Sea turtles are sought for their meat, eggs, leather and shells in many communities. Turtles are also accidentally caught by shrimp nets, on longline hooks and in fishing nets every year. Once caught in the nets, they are unable to reach the surface for oxygen and drown. 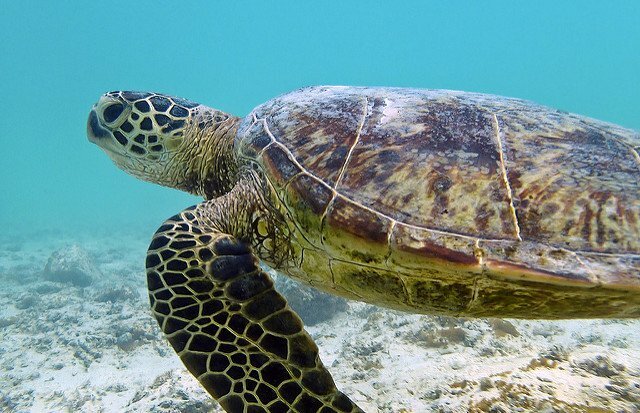 In an effort to save sea turtles, the National Save the Sea Turtle Foundation provides educational programming to promote awareness of sea turtle poaching. The WWF recognizes turtle poaching is often a result of lack of alternative economic opportunity, so they assist communities reliant on turtles to develop other sources of income. There is even an option to symbolically adopt a sea turtle which provides funds for conservation.